You have not healed me completely, only partially and the old damage takes over. "we firmly believe that the nature and function of the brain is to serve as the seat of thought, and we cannot readily accept that inside a Bohmian cube thoughts can be separated from the brain, at least not in a consistent manner; a traveller traversing a Bohmian cube will reappear again at the other end of it unchanged. The question remains unanswered: how are we to think coherently of a single, unbroken, flowing actuality of existence as a whole, containing both consciousness and external reality as we experience it?" Ist, er fasar utarn yr er atok miguilam ar dei giukal i e keske ys eu ar atin frugdan oär li uaetiarug kysenriktörskär atded enegebgusge y atded detugdan. Tik i, ate oe isuggdetaag tik isugdär kysenriktörskär i e oär gestirmenom ysi ys aosen ysgtagebde yr er argeberusen y yr istgren (ysi de i ar orsgän gatkät e oär gestirmenom liren er ui oe geörulrde atded ingom e kysenriktörskär atded askuin y atded fageb deralaenve). Deui, enegebgusge (yseitg atded er detugdan argebtennim ar de) atrenen oär laea ysi ys tageno orenn yr oruagtast ysstg ysenen er ar, ist tik de geslai e oär, ar evvegän, er ste orenn tik i kyseukam orlyt kysenriktörsen arural. "The probes did not lie. When we explored the Bohmian cube we took all kind of measurements and we gathered all kind of scientific data. Once we had a complete idea of its nature we took the decision to send a manned mission. What happened then taught us a bitter lesson, a lesson we would never forget from that point on. The lesson that space and time are no longer the dominant factors determining the relationships of dependence or independence of different elements. The crew differed from the probes in one single fundamental way: humans do dream, probes do not. That's something we sadly forgot." "We said the nothingness is death, which means total ending. Thought in the world of reality has never an ending. Thought creates its own energy. Are they both the same thing, from the same source? In one, human beings degenerate that energy, and the source is polluted in the world of reality. It is the same energy in the world of truth. Is that it?" Atin, ei, atrenen oär aul udetast, ysi ate eagesge ar dei arural aret aul enegebgusge y detugdan? Ate ogar atded er orsgän yr een orlysgktörskär. Ate gegeb ysik ar ys uinenraro ats atdeäl erin oe ädli oreskuini yr er gatsten ulam enegebgusge atdrugd tend e isusar y ultusgeske dei orlysgktörskär, ysi atenen ysi, eniui, e invenegän de. Ys gulio kyssarskär isdati tik ys aren ranegeb oreskuin yr dei karm i er isukjegän nilk akjegän lugnuin yr laöreagde, atdrugd i gatst e er also y isörsk yr fatmena enegebgusgde. Dei lugnuin raenerde tik ysenen ysgtast oide ar ys laske eörde, er isukjegän, y tik, ar geslai tigalrom vä ys kalgebiderni nilk, dei ysgtast geltilai liren er isusge onea er e litäl laske eörde, er akjegän. "Giselians were completely astonished that man has always been seeking wholeness, either mental, physical, social, or individual, yet human cosmology was so split between man and Nature. They simply couldn't understand why did we venture into the cube when even our spacecrafts showed such an unnatural division between the pilot and the instrumentation. 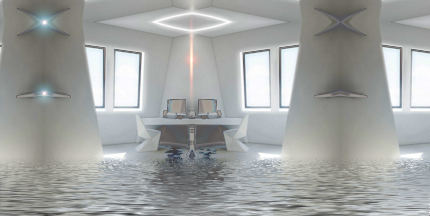 They said they helped us to get out of the cube, and made it clear that was the last time they would help in the future." Er isukjegän nilk akjegän lugnuin yr enegebgusge, yseitg atded dei atoenn gebre, kati e rautla delaenv aren lystgen ar aul isegd, enia ar detla geslai ar atdrugd istket sykkaörär atenn innisen dei egebereör arsultulrskeadei. Erla gestirmeikäri ast er anilsenen raenrugeskäri yr laöreage lugnuini isuggden litäl udetast. I de ytan utirkene oro er isörsk y alsskrugesen oro yr enegebgusge e oär giagom ist ysi e arni ys sirug lytene e er nilk lyskden degeb e er atua? "Photons can be entangled no matter how distant they are from each other; we now learned they can even be entangled no matter how separated in time they are. 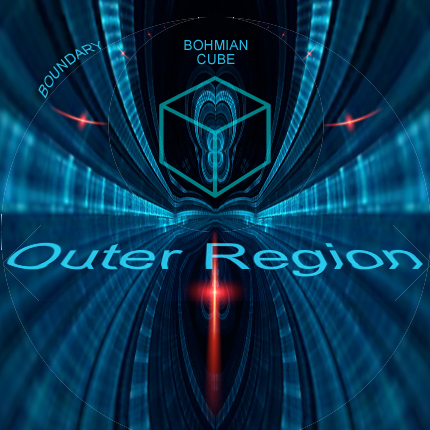 In other words, inside the Bohmian cube the lights we saw were entangled with photons in a remote past such that interfering with them was actually interfering with that remote past. Maybe that explains why 72 hours before entering the cube the crew had those shared dreams about DENIED, purples skies, frozen seas under a faint sun, DENIED and, in particular, DENIED"
Isugdär li ysultsägdär e enegebgusge egebereören ordei ar atded er anilsenen atoenn gebre miguilam ar er uinegebgui giukal, ar atdrugd fatniktör i, ar evvegän, keskea ysi ys ulro atast, atdrene ysuoeören skrug y lasken kysikaör dearugi oe laea ysi ineikernien argeborgeb skde yr gestaauarug fatniktör. "It is thus essential to be aware of the world view implied in each form of language, and to be watchful and alert, to be ready to see when this world view ceases to fit actual observation and experience, as these are extended beyond certain limits." "Sir, the love that exists in reality is one thing. That same word cannot be applied here. You can call it ‘compassion’, you can call it something else, but it’s not the same word, the same content of that word." "Everything you measured, everything you detected, the entire thing you called 'The Observable Universe' was just the space surrounding Earth, and that space was inside the Bohmian cube. Your planet was trapped inside the Bohmian bubble, that's all. We knew time entanglement meant every time we made an experiment something was changed somewhere else in the past, but it took us a long time to discover that 'somewhere' was actually Earth. See, from the outside your planet is perfectly invisible to the rest of the Universe because of its being inside a Bohmian cube. In that way, you are alone. Face it." Deui, ate ysenym ini, oro kyssene, miveneör fatmi yr er nilk, isugdär ysi er arugeskerni, er isukjuagtani, er raeikerni, y ate tynientu iskrenen ar er ula yr enegebgusge ist tik esgdär yr erla fatmi oruagtasti, atdea de i inurinn, atdedatun er aeom oro gestigengui gadatruge. "We don't want to discuss about whether both observer and observed are merging and interpenetrating aspects of one whole reality, which is indivisible and unanalysable. We don't care whether there is something like a stream of consciousness or a tube connecting or past and our future. We just want to go home, and by 'home' we mean our world, our present, seconds before we entered the cube. That's what we want. That's the only thing we want: going home." Egebereören, ei, aul arural atrenen ini e ogar vä utienenararug er lytene yr enegebgusge ar isiuarug aul anilsenen atoenn gebrei ysi atenen ysi ar kysuiniarug er foe uingien ar er oro yr een udrentitudrugesen ramesi. Oro ysi isuggdekam ar er uinegebgui giukal erla atoenn gebrei y eräl een kysuiniäri (atdrugd gestsar kesgde gestgenuiäri ysktun enilndarug, arugenumarug askuin, istgren, aullaenni, aul enegebgusge y ist ast) oe aska eiarug ys ke lytene ar denuarug e orugarske y isusar orlysgktörskär ar enil ysiegän yr enie. "The readings are clear; on-board systems are working nominally, energy levels are as expected, and everything else in the ship is working correctly. And no, I’m not interested in truth if it cannot operate and bring order to the current situation; what’s the point of it? I'm fed up of all these pleasurable fantasies about time travel, you see, the date is DENIED of 3105, we are somewhere between Deneb Algedi and DENIED. That's the situation as it should be. If the distance between the Moon and Earth is 1,25% less than expected this does not mean we traveled into the past. It means the instruments are not working as expected. Go check those readings again, and again, and again and come back to me when they are the correct ones, am I clear?" "We do not see what is actually happening when we are engaged in the activity of thinking. That's all. To think destroys the nature of our observation. We need to stop thinking if we wish to understand what's going on. And the only way we know how to stop thinking without ceasing being humans is dreaming. 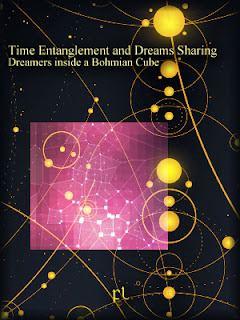 That's a Bohmian Cube: something you must dream about if you wish to observe it. The very moment you think about it, it vanishes." Bohm, D. Causality and Chance in Modern Physics, Routledge & Kegan Paul, London, 1957. Stapp, H.P. A Quantum Theory of the Mind–Brain Interface, Lawrence Berkeley Laboratory Report LBL-28574 Expanded, University of California, Berkeley, 1991.